Indian crowd has acquired a new paradigm of partying and celebrating their achievements. The increasing party culture in India is giving the much required boost to the bars and pubs; now it is easier to spot a bar or a pub in a city like Delhi when compared to the last decade. People have grown more liberal and comfortable talking about bars and pubs. The paradigm shift is going to leverage people with an option to enjoy the life and not succumb to the social pressure. With the available options, people can rejoice and hang around with friends probably to defy depression or monotony. Delhi has acquired the new culture very well, be the youth, working class or the middle age people, and everyone comes to pubs and bars and expresses him or herself. The new and amazing options have changed the way people meet and interact with each other. The changed culture is helping India manage stress and work pressure better. While finding a bar or a pub can get difficult at times but then there is this really cool mobile application named Republiq.In that simplifies things and allow people to locate the cheapest of bar with great ease. One click and you can ask all your friends to be at a specific bar for the sudden party or get together. This place is a rage among young guns from colleges and universities. Cheap drinks, entertaining ambience and the amazing snacks served will surely change the way you party. It is going to get heated when you are there but as soon as you are out, you are going to miss this place. A unique combination of art, drink and probably the best food in Delhi. Situated at the heart of New Delhi, this bar is the all time favorite of working class people. Everyone comes to this and rejoices the good old memories. The youth have developed a unique attraction towards this place because of the amazing art culture that this specific bar promotes. Located in the Inner circles of the Connaught Place this place is going to set your spirit on fire. People come here only to go liberated. The cool drink options and the creative ambience in here will make you visit this place on a regular basis. This pub is going to be your favorite for the coming years because it is good and pretty cheap. As the name suggests, this bar is everything a highly passionate needs. Be it your drinking fetishes or be it your love for the great food, this one place is going to stand tall and serve you with the best drink and wine in the world and not even cost a kidney to you. You can be at ease when the bill arrives and you can pay it off really well. 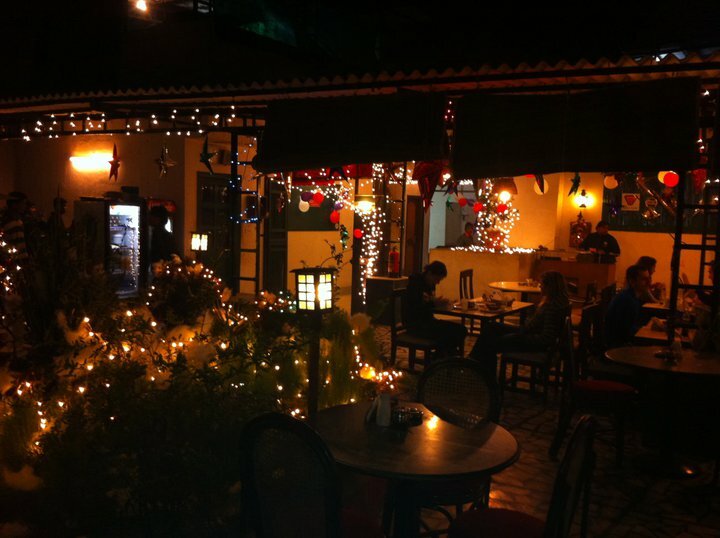 Located in the prestigious and overly crowded Ambience Mall, this pub is the pure example of class. The sweet and classy interior will inspire you to become an artist. You will love the silence, cleanliness and also the sweet aroma present in thin air. Be it drinks or food, everything served here is great, you can be at peace while paying bills as well, it is cheap and really classy. One of the finest pubs and bars to sit with friend and spend quality time. You can sit here and talk about the varied nuances of life without getting bored. The interior here inspires you to take up political issues and announce your judgment like a boss. Do not be worried about anything, be here and enjoy the best of time with friends and family. You have a choice here, either you can celebrate your blazing high birthday party here or you can bring the most important person your life and enjoy a glass of wine here. The yellow light ambience promotes love and spews romance. You can be worried about life and this place will serve to you the best medicine in form of cheap alcohol. Life is going to get better from here onward, just take it easy. Probably one of the sweetest places to be at for drinks in New Delhi. The classy interior and the amazing hospitality will win your heart and will inspire you to come here again and again. The cheap drinks and the exquisite food with stir your foodie libido. The local market near this place will inspire you to shop a lot and then come to this specific place for fun and entertainment. Huaz Khas is the party place of New Delhi, you can find all kinds of pubs and bars here but Garage Inc. is a bar with a difference. You can enjoy amazing beauty here and also celebrate the spirit of coming together. The special drinks here are to die for. You can enjoy the best of these and see how beautiful the evening turns out for you. Republiq.In is one app that you must keep on your mobile devices; it will help you traverse through the best of pubs and bars in the town. You will not have to get hassled in order to find a place good enough to party. Republiqin App is now available for Android @ https://play.google.com/store/apps/details?id=com.republiqin.